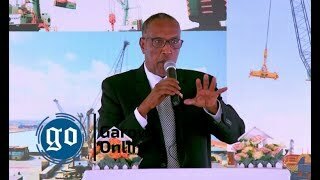 MOGADISHU - Somalia’s foreign minister said that Dubai state-owned port operator DP World should reconsider its contract with the breakaway region of Somaliland and work with federal authorities so Somalia’s sovereignty is not violated. “We are asking DP World to reconsider these agreements, particularly the one in Berbera port since Somaliland is claiming to be a state independent from Somalia,” Ahmed Isse Awad, Somalia’s foreign minister, told Reuters in an interview. He said the agreement DP World signed last year to develop an economic zone in Somaliland’s Berbera port “bypassed the legitimate authority” of Somalia, triggering “misunderstanding and disagreement” that remained unresolved. A spokesman for DP World declined to comment. The comments come amid a diplomatic row between the volatile Horn of Africa nation and the United Arab Emirates (UAE), whose government owns DP World. 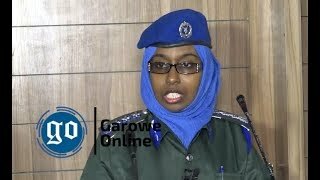 Last week, the UAE ended a military training programme in Somalia in response to the seizure of millions of dollars from a UAE plane at Mogadishu airport. The spat is related to the port issue but has escalated amid an increasingly troubled relationship between Gulf states - divided by their own disputes - and fractured Somalia, whose coastline sits close to key shipping routes and across the water from Yemen. The UAE and Saudi Arabia have strong trading links with and influence in Somalia, but that is offset by the way of Qatar and its ally Turkey, one of Somalia’s biggest foreign investors. Analysts have said the dispute in the Gulf that erupted last year between Qatar and Turkey on the one hand and Saudi Arabia and the UAE on the other risks exacerbating an already explosive security situation on both sides of the Gulf of Aden. 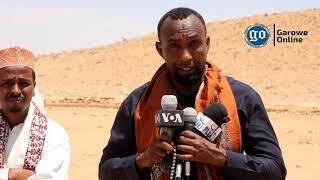 Against this backdrop, Somalia’s parliament unanimously passed a resolution last month saying DP World’s contract with Somaliland was null and void because it was agreed with authorities in the breakaway region, not with the federal government. Somaliland broke away from Somalia in 1991 and has acted as a de-facto state since then. Its small port of Berbera exports camels to the Middle East and imports food and other items. But DP World’s deal to expand the port is one of many investments the UAE government has made in Somaliland, from agreeing to train police and military to establish a military base. 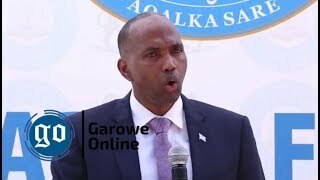 Awad said the federal government wanted DP World to engage with Mogadishu, instead of Somaliland authorities. 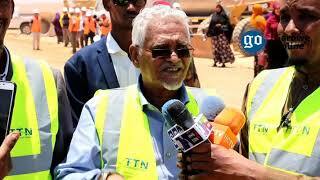 “After that, Somalia welcomes any investment in any part of Somalia including Berbera,” he said. 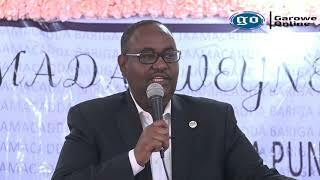 He added this policy applied to any deals by foreign countries or governments with Somalia’s federal member states, which include Puntland, where another Dubai state-owned company has a separate deal to manage a port. The minister denied claims by UAE authorities that they had signed the Berbera port deal with a previous Somali government, saying no evidence had been produced. He said he thought relations with the Gulf state would normalize, without giving details, and said Mogadishu wanted to enter “serious, open and friendly” discussion to resolve misunderstandings.